The banned ‘Sumangali Scheme’ still thrives in Tamil Nadu, albeit under new names. A few months ago, Sebastin Inbaraj, all of 24 years old, committed suicide by consuming pesticides after he was charged with allegations of theft at a textile factory in Tamilnadu. “He tried to help girls in the mills by encouraging them to demand their rights. 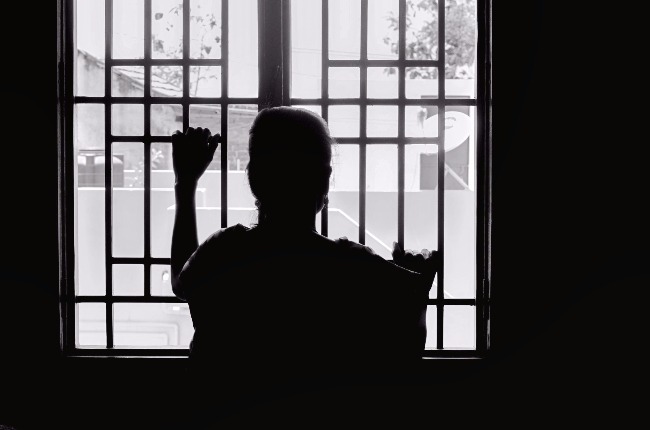 He paid the price for his audacity,” says Thivyarakhini Sesuraj, advisor to the Tamilnadu Textile and Common Labour Union, an all-women's union fighting for the rights of textile workers. “The management called him a thief and humiliated him in front of everyone. They even beat him up,” she says. The suicide has once again brought into focus the human rights abuses in the textile mills of this region. This is not the first time such incidents of suicide have been reported. In 2016, a 17-year-old girl, the daughter of a farm worker was found dead in a mill compound in Tirupur district. 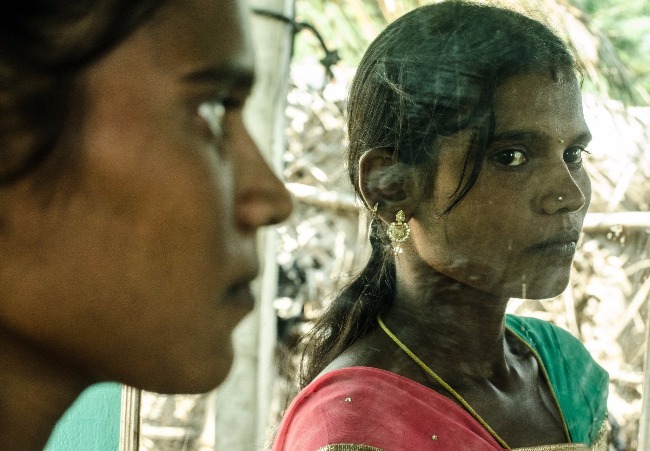 Tamil Nadu is home to about 1600 mills that employ up to 400,000 workers, drawing on village labourers, mostly young girls between 13-18yrs of age from financially poor, illiterate and low-caste communities. They are overworked (alternating between 3 different shifts, clocking an average of 12 hours a day), intimidated, and also subjected to sexual harassment. 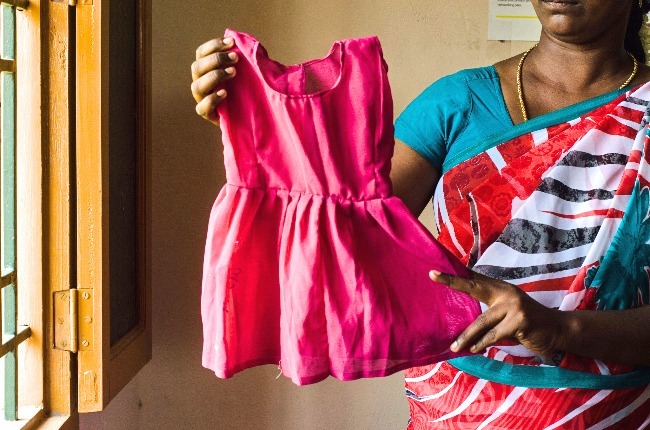 Rani learns tailoring on weekends at SIMCODES, an NGO that advocates for ending the exploitative working conditions in the Tamil Nadu Textile Industry and empowering young girls to be independent by helping them learn new vocational skills. 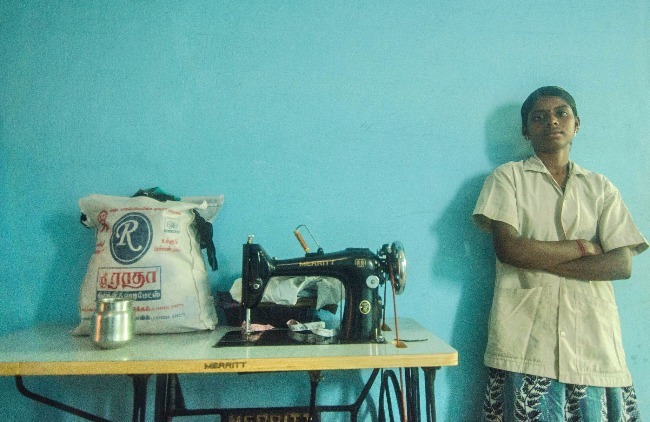 I met Palani* at SIMCODES, a training center & NGO in Dindigul where she learns tailoring on Sundays. “I wake up at 3am every day so that I can finish the cooking, cleaning, washing and all the other household chores before rushing to the bus stop at 5.30. My shift begins at 7am and goes on till 4pm, with just one break at 11 for breakfast. I get 3 rest room breaks in all. There are days I’m asked to extend for the second shift too, which goes on till midnight. I get a salary of Rs 3500 every month. I’m happy to not be a part of those marriage schemes where I have to stay put in the hostels. On Sundays I’m here learning to do some tailoring, so that someday I can quit and try my hand at this,” she says. “Isn’t Sumangali thittam completely done away with now?” I ask, referring to the infamous Sumangali Scheme/camp coolie system. “Well, it’s not Sumangali anymore; Kanmani, Ponmagal, Tirumagal, Mangalyam etc all have sprung up and all of these have the trappings of the exploitative Sumangali Scheme,” says Visuvasam, the secretary of SIM codes, an NGO working for betterment of the future of the young workers. What is (was?) Sumangali Scheme? “I endured that torture for 4yrs,” says Rani*. “I was recruited to the Sumangali thittam when I was about 13 years old. I stayed in the hostel, so I ended up working all the time except at night. There would be days we would even be woken up at 1am and asked to go for the third shift. We weren’t allowed to go home for even Diwali, my parents could come over and visit for a few hours,” she adds. “There were 20 of us sleeping in a single room of about 200 sqft. Since I stayed the entire tenure, I eventually got paid Rs 40,000 at the end of the contract, but I know a lot of friends who quit six months or so before the end of the contract and didn’t get a penny,” Rani recalls. Radha shows off the new dress she has stitched up for her daughter. She works in a textile mill in Dindigal district. Every year around the month of June, a bunch of brokers go around the villages giving out pamphlets promoting the textile mills they work for. The Sumangali Scheme, also referred to as ‘Thirumagal Thirumana Thittam’, is an employment scheme in which young girls are recruited in their villages to go work in textile mills or factories for a 3 to 5 year contract, with a promise of a lump sum (30,000-50,000) at the end of the contract that they can use for their dowry. The girls are provided with accommodation and food at hostels located in or near the mills. This scheme not only reinforces the belief that a women is truly complete and happy when she is married but also perpetuates the practice of the girl’s families giving out huge dowries to get the girl married. 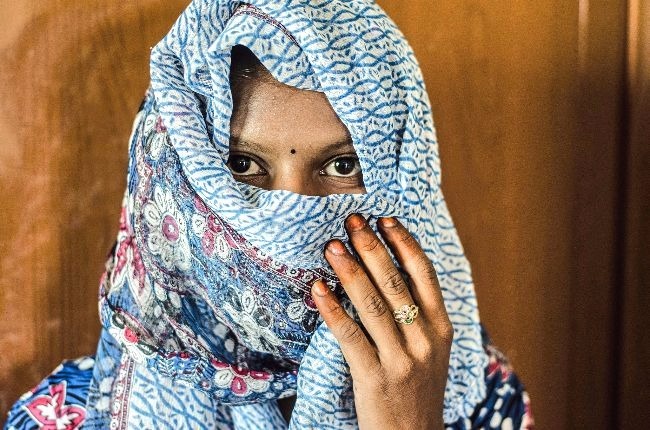 Lakshmi's family was lured by one of the agents, who promised that the marriage 'headache' will be taken care of once she works at the mills for a few years. Six months of employment in the mill, she started having terrible migraine headaches, rashes, irritation in the eye and respiratory problems from inhaling the cotton all day. She had to eventually quit and stay at home. FIDH (International Federation for Human Rights) had in its report ‘India Garment Workers Report 2014,’ said that labour rights abuses and grave human rights violations, including bonded labour, is prevailing in India’s garment factory work floors. After all the hue and cry over the FIDH report, things did change to some extent. The High Court of Madras asked for the Sumangali Scheme to be abolished. The district committee’s recommendation to not employ girls below 18 years of age and pay a minimum wage of Rs 150 per day were mandated. Only a maximum of 20% of the mill employees could be apprentices, post which they would be employed permanently. Most importantly, one had to ensure that the workers had freedom of movement. However, the women in Dindigul who continue to work in the mills assert that in reality, hardly anything has changed on the ground. Renuka leans against the wall at her home, wearing the old uniform that she would wear to the textile mill in Dindigal. She was employed in the Sumangali Scheme and was promised a lump sum to pay the dowry for her marriage, at the end of the 3 years. “If we go out of the hostels, we will spoil the Tamil culture, no?” asks Thamarai* sarcastically. She used to work in a mill at Dindugal for 3 years. ‘We were not allowed to even speak to another person in the mill, especially men. We can’t talk to our parents on the landline without the warden around. Most girls are too pavam (naïve) to even question some stupid rules we had. If any of us used mobiles secretly, we were asked to clean toilets and the spit zone as punishment. It was a prison for us!” she says. A recent report from “India Committee of the Netherlands, December 2016” clearly states that in 351 out of 743 mills, Sumangali is still around. Moral policing, constant surveillance, gender segregation and lack of mobility are in fact offered as perks to families by brokers when they are trying sell employment in mills. “Your daughter will still be clean after 3 years of employment in a mill,” says the broker to parents who want to make sure the girl remains submissive, so that she can make a good daughter-in-law a few years down the line. This very compliant nature of ‘Tamil girls’ stops them from forming unions and fighting for their rights, which is why the mills prefer them to boys. Karthika and her friends share a joke, as they describe the nurse training routine at the Government Hospital in Dindigal district. All of them were part of the Sumangali Scheme a few years back. Reddington Foundation, an NGO was able to rehabilitate them, provide free nurse training and eventually jobs in hospitals and old age homes. Reddington foundation, an NGO, was able to help six girls who were working under sumangali scheme get nurse training and find jobs in hospitals and old age homes. “I’m so relieved that the worst is over. I had so many respiratory problems because of inhaling cotton all day. 15 of work hours in such high humidity, heavy noise of machines, claustrophobic rooms, dirty toilets and mandatory night shifts completely spoiled my health. A couple of my friends even had accidents because of exhaustion. They had to quit the jobs in a year or so and never got paid,” says one of the girls who quit the sumangali scheme to join the hospital. Renuka and her sister share a cheerful moment, laughing and recalling the good times from their school times. Both were employed in the Sumangali Scheme and endured the painful working conditions in the mills for 3 years. Activists, NGOs and legal authorities recommend that a special act has to be constituted immediately, to regulate the working conditions, specifically the camp coolie schemes in textile mills. Right now women have to seek redressal through POCSO Act, Child Labour Act, Factories Act, and Minimum Wages Act etc. A specific act will help women get speedy trial, seek rehabilitation and aid the Govt to constantly monitor working conditions, human rights abuses and abolish bonded labour permanently. All pictures by Sindhuja Parthasarathy.